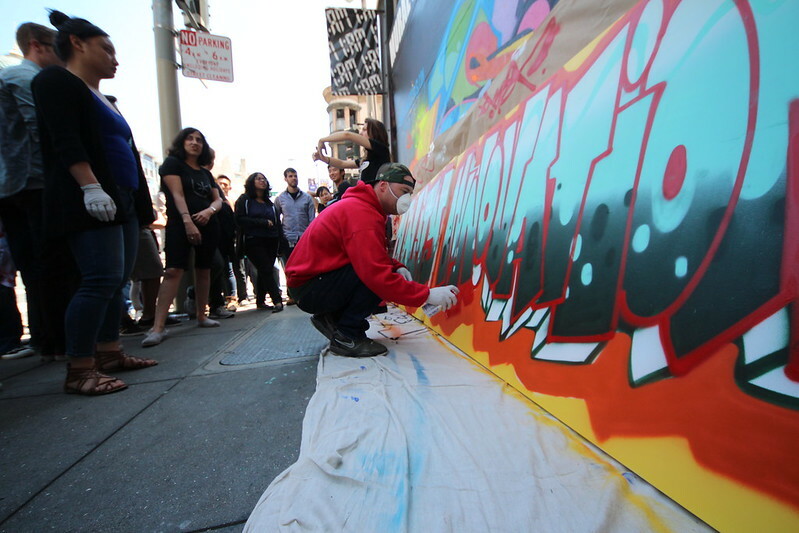 Google stops by for a good morning of graff! 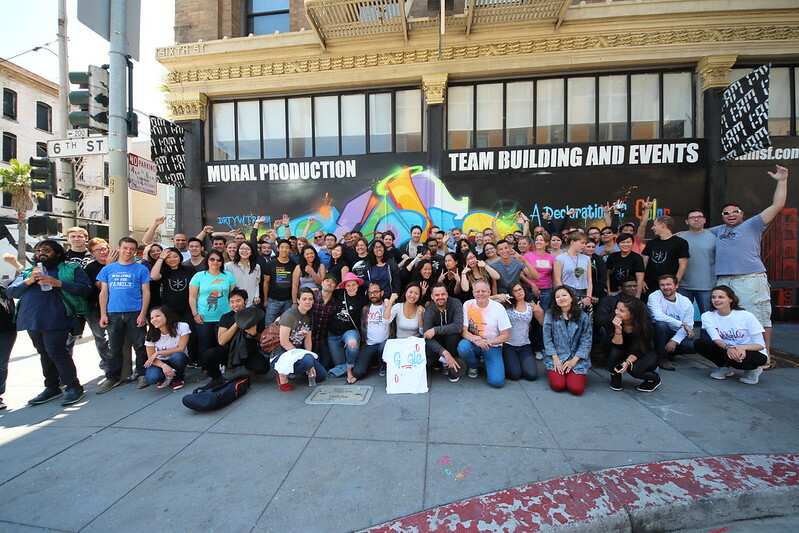 Home/Community, Events, Mural Production, Team Building Workshops/Google stops by for a good morning of graff! A team from Google visited us at 1AM for a personalized event featuring a catered lunch, t-shirt stenciling, marker tagging, and spray painting. They chose to take their cans to canvas rather than our wall and produced murals with the phrases “Know UX”, “Quality + Innovation”, and “Know the Ledge” in addition to one mural dedicated entirely to their department’s unique logo. If you think that your department or team would like a team-building activity like this, then contact us by email at privateevents@1amsf.com to get the ball rolling!